Walmart: FREE Holiday Photo with Santa! 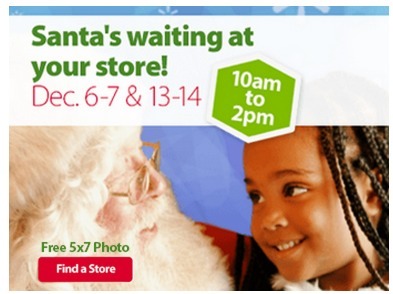 Walmart is offering FREE photos with Santa on December 6th & 7th and 13th & 14th from 10am to 2pm! This holiday freebie is available at select stores, so be sure to check if you local store is participating here (scroll down page for Santa store finder). FREE Dove DeepMoisture Body Wash mailed to you! Get a FREE sample of Dove DeepMoisture Body Wash mailed to you! Just watch the video here and then you’ll be able to request this freebie. Available while supplies last. Limit 1 per household. Must have a US mailing address. Free FULL-SIZE Dove or Degree Antiperspirant! WOW! Hurry to get a Free FULL-SIZE Dove, Degree or Axe Dry Spray Antiperspirant! While supplies last. Limit 1 per household. Allow up to 4 weeks for shipment to arrive. Available for US residents only. Even though today is dubbed as ‘Cyber Monday’, Walmart took it one step further and they are offering new Specials daily during Cyber WEEK! Halloween Costumes just $4.97 + FREE In-Store Pick Up! WOW! Currently Walmart has TONS of Children’s costumes priced as low as $4.97 + FREE in-store pickup! To find the costumes priced at $4.97 just click on the Halloween Costumes image and sort by Price: Low to High. Darlin’ Deals Sponsored Review: Urbini Omni 3-in-1 Travel System! Disclaimer: I participated in a Blog Blast on behalf of Mom Central for Urbini. I received information from Urbini to facilitate my post as well as a promotional item to thank me for my participation. Shopping for the perfect stroller can be a challenge, there are so many features that you have to consider. Personally I like the Travel System style strollers because you don’t have to worry about car seat and stroller compatibility. Urbini must realize that this is a popular option because they have an amazing stroller/car seat combo called the Omni 3-in-1 Travel System. It offers numerous seating options beyond the car seat connecting to the stroller base. The Omni also has a bassinet option and reversible toddler seat so the child can face out or be turned in to face the person pushing the stroller. The Omni is sold at Walmart both online and in stores. Not only does it have excellent customer reviews but it also has an equally amazing price of just $199! You can find out more about all the products that Urbini offers by checking out their website or visiting their Facebook page, Pinterest page, Twitter, or Instagram. Currently you can request a FREE Ritz Crackerfuls product coupon to be mailed to you! Just go here to fill out the short form on Walmart’s website to get your FREE Nabisco Ritz Crackerfuls coupon. Click on the “Get a Free Sample” button on their website to get started. Limited Quantities. Coupon will arrive by mail. Allow 4-6 weeks for delivery. Limit 1 per household. FREE Zest Soap using coupon with NO size restriction! 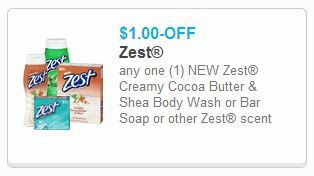 There is a new $1.00 off Zest Soap or Body Wash printable coupon with NO size restrictions on it. Hurry to print it now while its available! 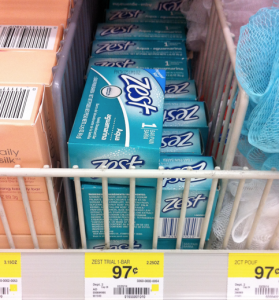 You can use it at Walmart on the 1 count bar soaps of Zest (in the trial sized section) that are priced at just $0.97 to make them FREE + $0.03 MONEYMAKER! = FREE + $0.03 overage! FREE El Monterey Breakfast Burritos! HURRY to print this new $1.00 off any one El Monterey Breakfast Burrito with NO size restrictions! Print this coupon now, it might not be around for long.